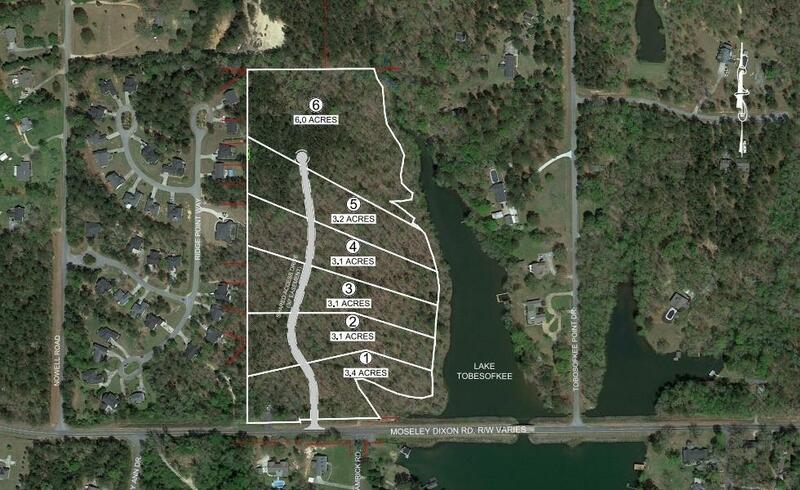 Remarks at 7299 Moseley Dixon Road Macon, GA - A very rare 3 acre water front lot on Lake Tobesofkee that offers all utilities, city water & sewer, power, cable and internet. 6'+ water depth at future dock location.Lot 1 available now and ready to build! Lots 2-5 will be available soon! Please see pictures for preliminary plat. Still in the beginning stages of development, but private road and utilities are coming soon! Owner is licensed real estate broker in the state of Georgia. Lots 2-4 will be listed at $169,000. Lot 5- $159,000.